Rokz natural rimmers add flavor and sparkle to cocktails. 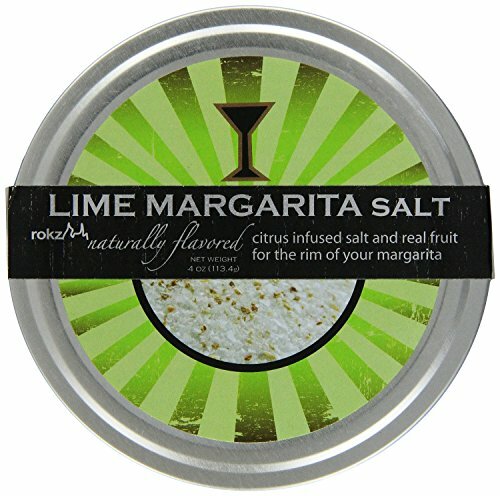 Top margaritas in style, or dip slices of lime in the salt for an amazing garnish. To use: place about 3 tablespoons of lime infused salt on a flat plate. Run a wedge of lemon around the rim of a glass then dip the moistened rim into the mixture and rotate the glass until evenly coated. Each package will rim approx. 40 drinks. If you have any questions about this product by Rokz Design Group, contact us by completing and submitting the form below. If you are looking for a specif part number, please include it with your message.